Tomatoes can be quickly smoked in a household wok. 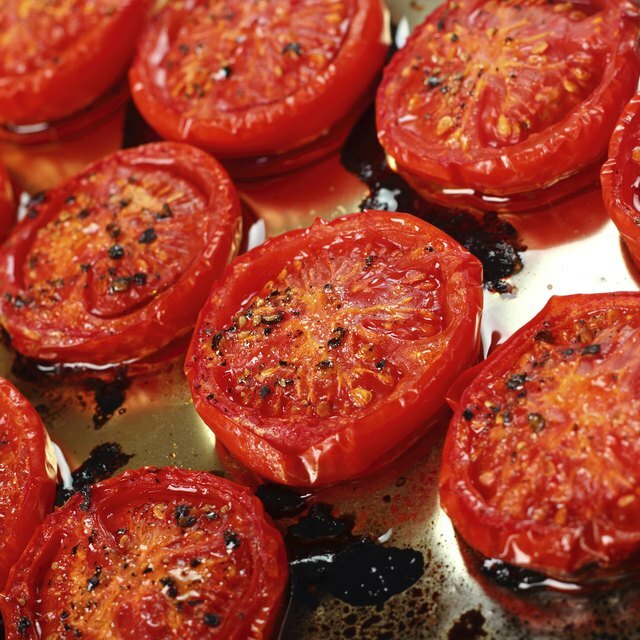 Smoked tomatoes add a smooth, rich taste to sauces and entrees. The tomato is a sweet, succulent fruit that takes on the smoky flavor of powerful ingredients, such as tea leaves and oak barrel shavings. With just a few household items and a little bit of time, any type of tomato can be transformed into a smoky delicacy. Cut the Roma tomatoes in half and scoop out the seeds using a tablespoon. Make sure the center is cleaned out and seed-free. Place the oak-barrel shavings and tea leaves into a saucepan, covering the bottom of the pan. Cover the mixture with the lid and put over high heat. Allow the mixture to smoke slightly, normally after about five minutes on high heat. Place the halved tomatoes, open side down, into the steamer basket and place the basket into the sauce pan. Turn down the heat to medium-high and cover the tomatoes in the sauce pan. Smoke the tomatoes for about 15 to 20 minutes, allowing the skins to shrivel slightly. 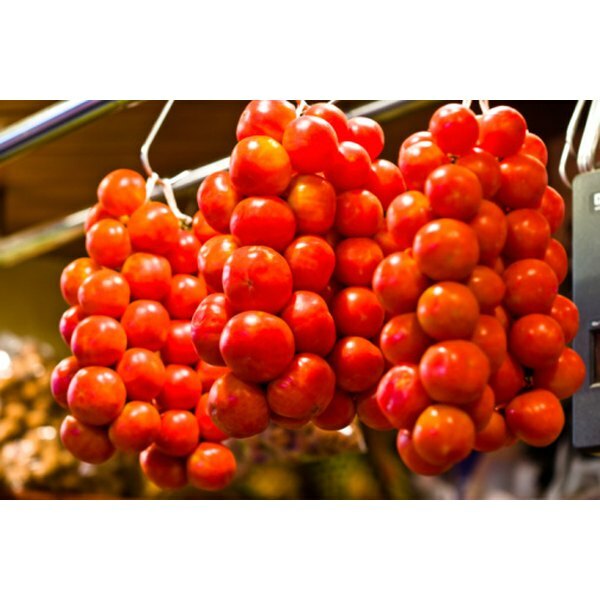 Remove the tomatoes from the steamer basket using tongs and place on a platter to cool slightly. Keep an eye on the tomatoes as they smoke to ensure they do not burn.